The structure of the cornea is clear and almost seems to lack substance; however, it is a truly sophisticated and highly organized combination of cells and proteins. Each cornea is a special clear, dome-shaped tissue that is the surface covering the front of the eye (iris, pupil, and anterior chamber). One reason the cornea is considered special is because, unlike most tissues in the body, the cornea holds no blood vessels for nourishment or protection against infection. Rather, each cornea receives its nourishment from tears and aqueous humor. Aqueous humor is a clear and watery fluid that fills the chamber of the eye which lies between the cornea and the lens. 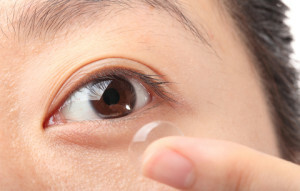 It is imperative for the cornea to remain transparent in order to properly refract light. If the cornea has the presence of even the tiniest possible blood vessels, there can be interference with the process of light refraction. And, all layers of the cornea must likewise be free of any cloudy or opaque areas in order for us to see well. Dr. John Goosey is a world renowned and respected physician and surgeon who is a leading corneal expert. Regardless of the condition, disease, or injury that you may have involving any corneal concern, you would be wise to seriously consider Dr. Goosey. Dr. Goosey is the specialist that other specialists choose for themselves and their families. You should always choose your physicians and surgeons wisely. Choose Dr. Goosey.